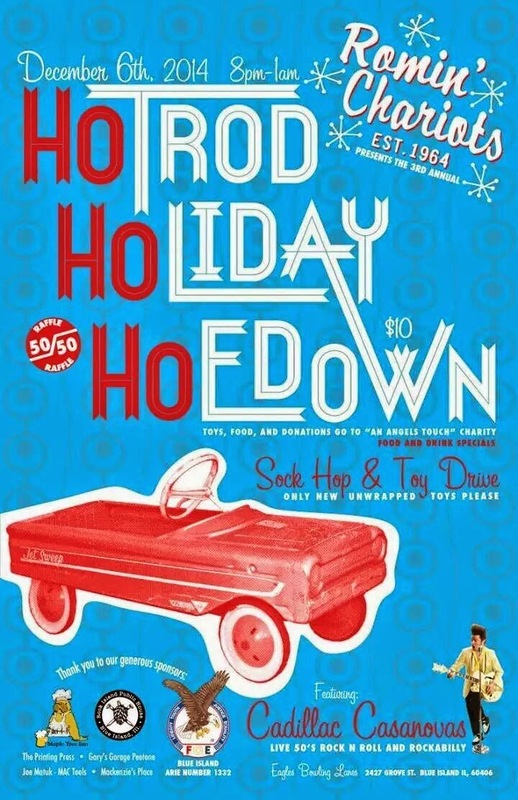 I'll be in Blue Island this weekend attending the Romin' Chariots Hotrod Holiday Hoedown - sock hop and toy drive. I'm pretty excited! Of course, I'll be seeing James. If you're in the area stop by for a great benefit event! Event starts at 8pm. Admission is $10 with donations encouraged! See you there!